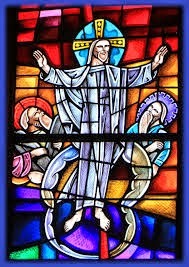 The last Sunday before Ash Wednesday and the season of Lent has been traditionally observed for celebration of Christ’s glorious transfiguration. In this transforming event we see a fuller glimpse of Jesus’ identity and his ultimate end of ascension and glorification. It is possible that in focusing on this account of Christ’s metamorphosis that it all seems very strange, even confusing. Maybe you just have no categories of thought to explain such an encounter (Mark 9:2-9). Perhaps your spiritual life seems more like Charlie Brown than Linus. Compared to the experiences of others, you may not have had any defining moments of ecstasy, no shining Jesus right in front of you, or no spectacular vision of Christ. Maybe your life seems rather mundane and ordinary in light of the many stories we have in the Gospels of Jesus doing the miraculous. Most of our lives are lived in the daily grind. In the week in and week out monotony of life we need a bit of hope, maybe even a lot of hope. In fact, we need an occasional mountain top experience because those are glimpses into the future of what it will be like someday when the kingdom of God comes in all its fullness. The event of Christ’s transfiguration came after a hard frank discussion Jesus had with the disciples about his impending death. Jesus clearly taught them that he must suffer, be rejected, and killed. But in three days he would rise again. The disciples did not want to hear that, and Peter even rebuked Jesus for saying it. In response, Jesus said this to them all: “If anyone would come after me, he must deny himself and take up his cross and follow me. For whoever wants to save his life will lose it, but whoever loses his life for me and for the gospel will save it” (Mark 8:34-35). Jesus identified himself as the Suffering Servant, as the One who must suffer and die. However, he is also the One to be glorified. For Jesus, there had to be suffering before glory. And it is the same for us. The Christian life is filled with the difficulty of walking through the valley of the shadow of death, but is also punctuated with mountain top experiences that give us hope to keep doing what Jesus did. In other words, we must listen to Jesus and follow him. The nature of our Christian walk is up and down; both the mountain and the valley are spiritual realities; both are important. Moses and Elijah were on the mountain with Jesus at his transfiguration. In the Old Testament, Moses was the person used by God to deliver the Israelites out of their slavery in Egypt and brought them to the Promised Land. Centuries later, when the Israelites had been in the land for quite a while, Elijah was the person used by God to bring about a great repentance from Baal and a mighty revival back to the exclusive worship of the Lord. As good as those guys were back then, having them with Jesus on the mountain meant that it gets even better with Christ. Jesus is the Messiah, the True Deliverer, who saves the people from their sins. What is more, Jesus is the Ultimate Revivalist, bringing the true grace and love of God to people and calling them from legalistic religion back to the true worship of God. Deliverance and revival were what Jesus was all about in his ministry. And he expects all who follow him to do the same. In the ministry of every believer, there will be suffering because we must take up our crosses; and, there will also be glory, experiencing and seeing the deliverance of sin that comes from genuine revival. A voice from heaven said, “This is my Son, whom I love. Listen to him!” If you have had a mountain top experience with Jesus, let that encounter with him give you the drive and the hope to keep carrying the bucket of suffering through the valley, without living in the past. If you have never been on the mountain, today is the day to listen to Jesus and follow what he says. The answer to all that is vexing us is not to be found outside of Jesus Christ. Let us go to him, listen to him, and obey what he says. Let us know the Word of Christ, and bank on it. Let us understand that our light and momentary sufferings will result in praise, honor, and glory when Jesus is revealed. Let our churches be shaped by a vision of Jesus, exalted and glorified.